It’s that time again! The Patreon exclusive show before the show and this is a big one! A full 35 minute long Pre-Show for our Patreon lovelies. We debate big changes to the show AND our Patreon tiers (already in effect). We also dish the dirt we don’t have the gall to dish on the “public” episode (shh, don’t tell). Lots of behind the curtain talk. Lots of laughs. A good time! 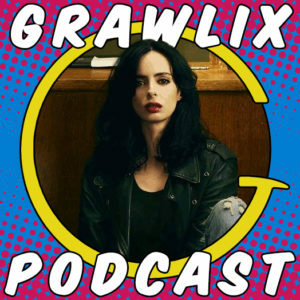 The Pre-Show episodes are a perk available to our supporters over on the Grawlix Podcast Patreon page. At the “All The Pizza” rewards tier, NOW ONLY $1 A MONTH, you get access to these awesome “show before the show” episodes. On top of that you also get the full episode as soon as it is edited and ready for ears.